Henry Cavill News: Kisses For Everyone, Awaiting 'Stratton' Production News! Kisses For Everyone, Awaiting 'Stratton' Production News! Drew Locke: "Not everyday you get a kiss from superman!!! #siamcup #jerseyci #cavill #manlove #rulenumber20 #superman #toplad." Has this been an awesome May or what? - We can hardly keep up with a busy Henry, who after raising funds for Durrell Wildlife at the Siam Cup, turned around and flew to Rome to promote The Man from U.N.C.L.E. In between we've gotten plenty of kissable moments, including that top one of Henry at the Jersey Rugby Football Club (we spot his trainer, Michael Blevins in the back!). 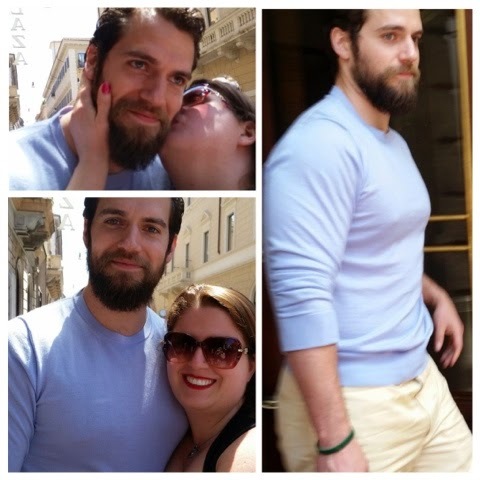 Then came Francesca's sweet encounter with Henry in Rome.. #swoonworthy. The Fairwater Head Hotel in Devon, where Henry has been training for the film, today shared this pic of Oscar with him. The staff called Henry "a lovely person" -- We're so glad they got to meet him! According to director Simon West, Stratton is supposed to start filming this month. Production will be on location in Italy for a while, and it looks like some film students in Rome will get to help out. Just as we have in the past with The Man from U.N.C.L.E. and Batman v Superman, we'll be bringing you production updates as we get them. 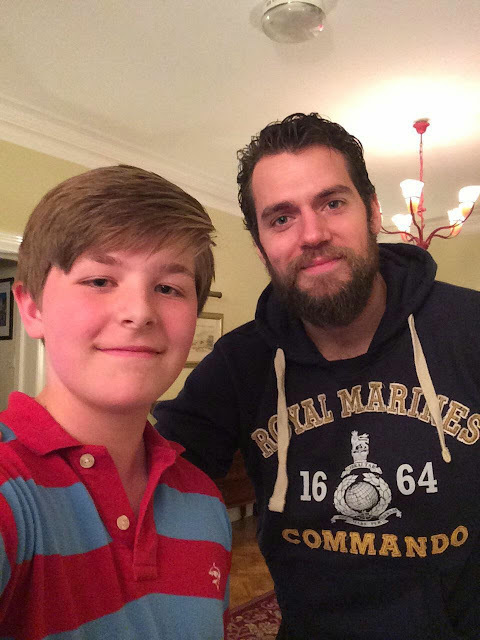 We can't wait to get a first look at Henry as Special Boat Service operative, John Stratton! HENRY....I want A Kiss too! :D <3 <3 <3 U! Supersweetie! Nice colours! Pastel! Like lavender gelato!